Nowadays, the makeup industry not only serves to enhance natural beauty, but also to correct some imperfections. Fine tuning the nose, lowering the forehead and lifting the cheekbones are some of the corrections that well-applied makeup can achieve. However, it is important to take into account the shape of the face to make a correct contour for round face makeup application even more powerful. Concealer and illuminator are essential for a perfect contour for round face. Even if it is not a very common practice to notice the face shape of people, knowing how to identify it on yourself is the first step to guarantee a beautiful makeup application. For each face shape, with its details and particularities, following a different contour routine makes sense. The most common types to be found are those with oval, square, triangular, inverted triangular and round shapes. Regardless of the shape of the face, it is imperative to have a concealer or foundation that is darker than the tone of the skin, as well as an illuminator. This is a key piece for a well-contoured face. The basic rule is: what you want to hide must be contoured with the dark concealer, and the part you want to show should be illuminated. The entire look should be blended. The round face is one that has no defined angles. This face shape tends to be wider on the cheekbones and cheeks and more rounded on the forehead and jaw lines. Contouring a round face aims at providing a more elongated look to the face, therefore making it look less round. To achieve this, the hollows of the cheekbones are darkened and the high points of the face are illuminated. The contour for round face differs from the rest by having fairly broad cheeks, making body fat a bit more visible. Not all faces are the same, and if we want to take advantage of and enhance our facial features, there is no better way than knowing some makeup hacks to help us achieve the desired look. 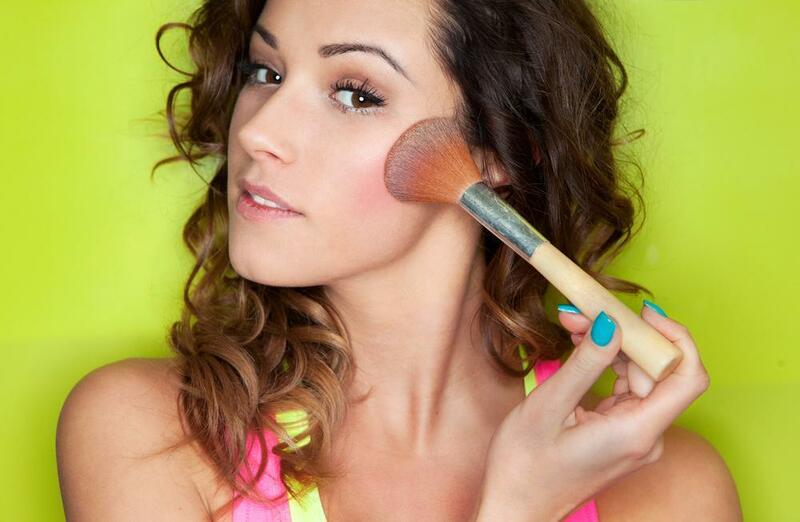 First, apply a foundation of makeup the same tone as your skin, as you do normally. Once completed, pick up a darker-tone base makeup than the previous one (like a contour stick or a darker concealer) to begin to tune the facial features. Pay attention to the following tricks to know how to apply it. • Apply a few short strokes of the darker shade directly under your cheek bones (from the center of your ear to the corner of your mouth). A brush works well to blend this out, so that there are no harsh lines. You should be able to see the difference between both bases of makeup. • Apply the darker base on the outline of the forehead and on the outside of the eyes. • Apply the dark base just below the chin, and blend well to unify the tone. • Finally, in the clear marks of the face, you must apply a little illuminator. Illuminator is ideal to finish refining the face, and to provide luminosity. This is the perfect contour for round face. Rodan and Fields: Is It a Pyramid Scheme?